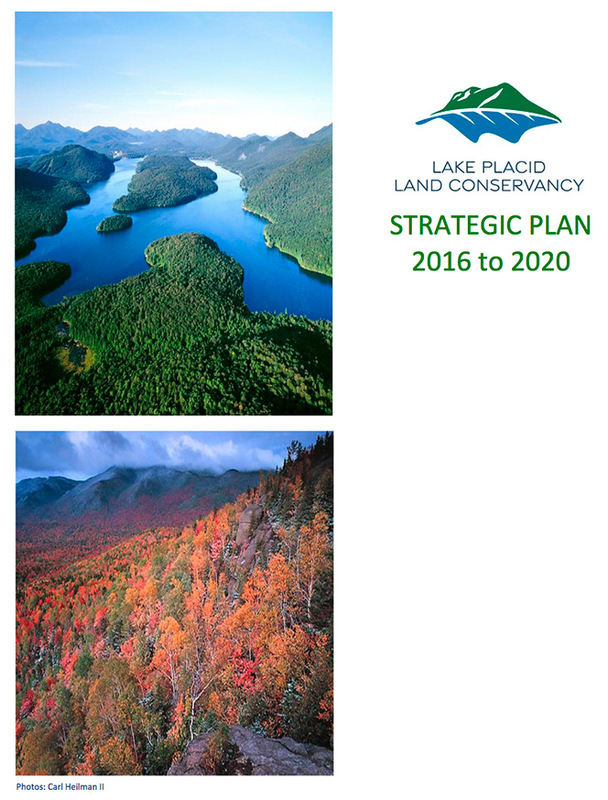 Our strategic plan is composed of four interdependent goals that collectively allow LPLC to be a positive, successful conservation resource in the Adirondack Park. The four goals clarify our vision for the organization’s future and provide guidance that will help us make strategic decisions as opportunities and challenges arise. As a land trust, LPLC’s work is centered on land conservation. Yet conservation is more than just protecting the views, habitats, and water of local landscapes. Our long-term success requires building strong connections and local support within communities throughout the watersheds of the Ausable and Saranac Rivers. Outreach, whether through personal interactions, events and programs, or social media, is vital to LPLC’s efforts to connect with landowners, community leaders, partners and supporters throughout the region. These connections allow LPLC to build its visibility and credibility, and to help communities conserve local landscapes. Outreach is also important for building our member base and further strengthening LPLC’s financial foundation. LPLC’s budget draws from three broad revenue streams: foundation and government grants, major donors (including board members), and other individual donors. These donors are critical to our success; continuing to expand our donor base not only allows us to conserve more land, it helps ensure that our work contributes positively to local communities. LPLC conducts its business operations in accordance with nonprofit laws and in a manner consistent with the standards and practices of the Land Trust Alliance (LTA). Our strong board ensures that we meet these high standards by overseeing our operations, connecting us with landowners, community leaders, and interested residents, and more. To most effectively lead LPLC, the board is a blend of seasonal and year-round Adirondack residents from throughout the conservation area.